After winning the T20 and ODI series against the West Indies emphatically, Pakistan's focus now shifts to the tests and the farewell of two Pakistani stalwarts. The thing is, Pakistan have never won a test series in the West Indies. They have toured the West Indies 7 times in the past 60 years for a test series and their record is three draws and four losses. If there ever was a perfect time to set this record straight for Pakistan, it would be now. What better farewell gift could there be for Misbah Ul Haq than becoming the first captain from Pakistan to win a test series in the West Indies. If Pakistan are able to do so, it would be another outstanding achievement in the long list of firsts that Misbah has produced in the past 7 years. Misbah needs this win more than anyone else; especially following the unfortunate tours of Australia and New Zealand. His legacy demands a series win, plain and simple. Barring injury, Misbah will end his career having captained Pakistan in 56 tests and becoming the 9th most capped captain in the world and second most capped from the subcontinent after MS Dhoni. One win will give Misbah 25 test wins as captain, taking him past Alastair Cook. Three wins will take him past Mark Taylor and Michael Vaughan, and place him level with Sir Viv Richards, MS Dhoni, and Hansie Cronje. Younis Khan is 23 runs away from becoming the first batsman from Pakistan to score 10,000 runs in test cricket. Younis Khan requires another 146 runs to surpass Sunil Gavaskar's test runs tally of 10,122 and become the 5th most prolific test batsman from the Subcontinent. Younis Khan needs one more century to become the first batsman from Pakistan to score 35 test centuries. If he scores two centuries he will join Rahul Dravid with 36 test centuries, the 5th most in the world and 3rd most by a batsman from the subcontinent. Misbah is 49 runs away from completing 5,000 runs in test cricket. He will become the 7th batsman from Pakistan to score 5,000 test runs. Misbah requires another 112 runs to surpass Zaheer Abbas' runs tally of 5,062 to become the 6th highest run scorer from Pakistan in tests. 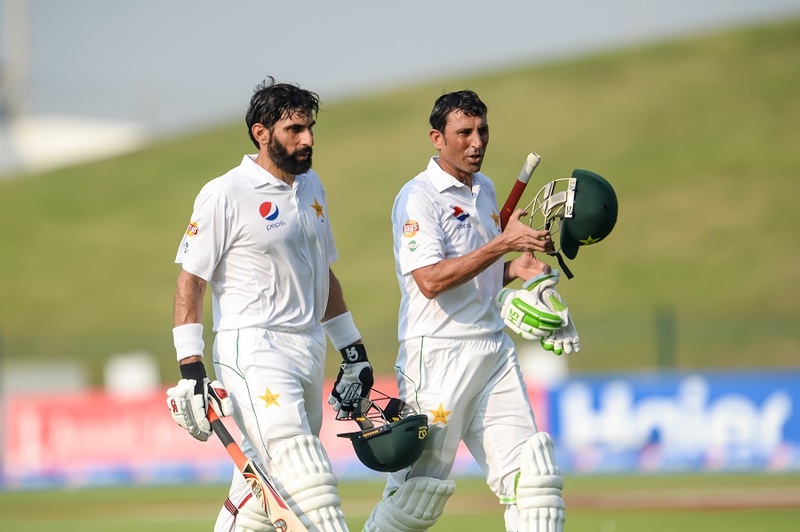 Misbah is 47 runs away from becoming the first batsman from Pakistan to score 4,000 test runs as captain. Another 4 runs will take Misbah past Michael Clarke's runs tally of 3,946 and place him at 9th for most runs as test captain. Pakistan will start the test series as firm favorites, a fact worth paying attention to when betting on cricket match. If you plan to get in on some action and spice up your viewing experience with a wager, you should seek out more information on the series’ odds. Take a glance at the 888Sport information page as well and see if you can choose yourself a bookmaker that provides you the betting edge you need with a free bet or enhanced odds offer. If you are betting, might as well cash in on a new-player promotion bookies are so keen to offer. One you have placed your bet (that is, if you have placed your bet), sit back and enjoy the show as it is set to be quite an interesting test series, especially given the above milestones that can potentially be achieved by Misbah and Younis, Pakistan's two superstars whose careers will come to a halt after three more tests.